Look, I love the Royal Oak more than I love Taylor Swift (and I love Taylor Swift a lot). I also love yellow gold to a degree that is actually certifiably insane. 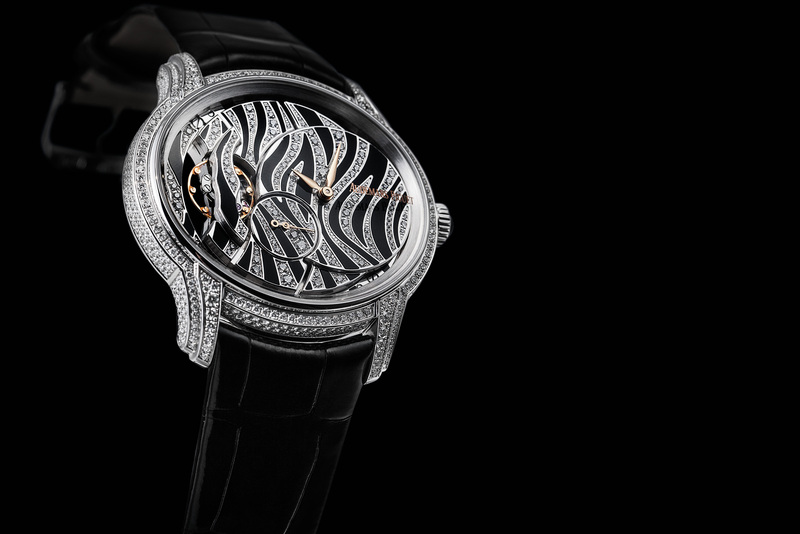 However, I am leaving aside this year’s spectacular outing of yellow-gold Royal Oak timepieces to talk about the new feminine Millenary watches because I really believe in them — that’s how significant I think they are. You’ll never have a shortage of people who want the Royal Oak with a burning passion, and we’ve been predicting the return of yellow gold for well on three years now. Now is the winter of our discontent made glorious summer by this sun of aureate metal, and all that. The Millenary always gets overlooked in favor of its more commercially appealing stablemate, though, and I’m not letting that happen anymore. Not on my watch. 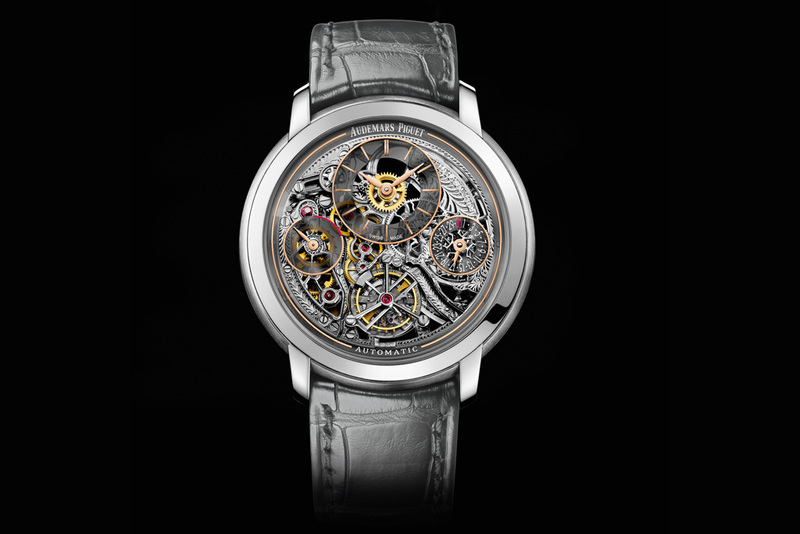 This is the second year that Audemars Piguet have highlighted their feminine Millenary timepieces with reversed calibers, and it’s clear that this is not a one-shot effort to prove that the brand has more cards up its sleeve than the Royal Oak trump. If there’s anything to be read into the continued push for a more fully developed feminine range of watches (especially in context of the 33mm Royal Oak in steel, no diamonds, quartz movement), it’s that Audemars Piguet are serious about treating the female half of the watch-buying audience with the same level of regard that they accord to the Y-chromosomed tribe. That’s pretty hot, no matter which way you look at it. 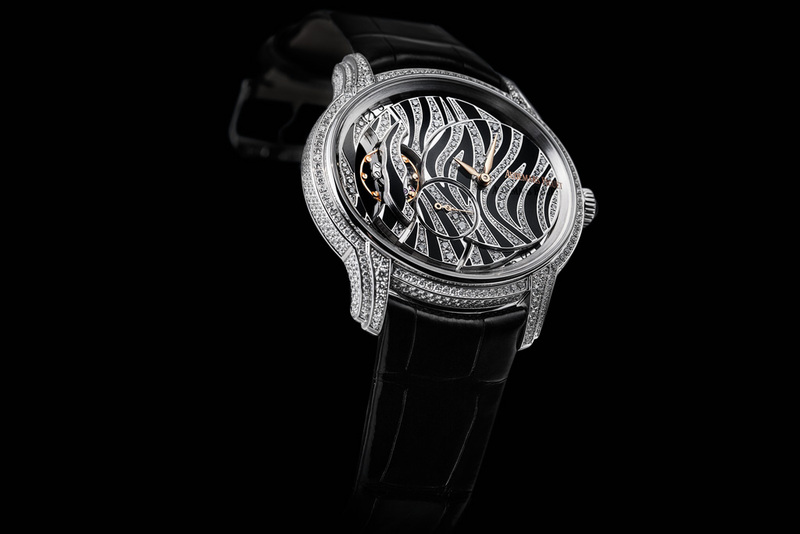 The new interpretations of the feminine Millenary combine detailed gem-setting and decorative finish with a smart, technically robust movement — the free-sprung balance deserves a large portion of credit. I’ve always liked the Millenary 4101, and this smaller counterpart fully lives up to the standard set by its predecessor. You can judge for yourself as we did — seeing it on the wrist of a strong, beautiful and intelligent woman is all the context you need. If you write about watches on a regular basis, it’s accurate to say that you’ll see more than your fair share of round watches. We see round watches all the time. They’re vastly more popular than shaped watches, because of their versatility, but this comes with its own set of pitfalls — it’s also harder for a round watch to distinguish itself from the rest of its brethren. That said, the Jules Audemars watch possesses that individualism that manages to encompass both the classicism of a traditional Vallée de Joux watchmaker and the modernity of a 21st century brand. It comes down to detail and proportion, two things that often get overlooked in the discussion of a round watch, possibly because the shape subsumes all subtlety — probably because it is difficult to pinpoint what makes a design just right (far more difficult than pointing out what went wrong). In the Jules Audemars, it’s all about the layering of depth; the smoothly cambered sides overlapped by barely arched lugs, surmounted by a tense, flat bezel. I have this theory that the attractiveness of a watch lies in the tension between its various design and conceptual elements, and the Jules Audemars bears this out in every way. Amidst a whole fleet of openworked timepieces from Audemars Piguet this year (that openworked extra-thin tourbillon in yellow gold!) are two particularly outstanding examples, housed in the Jules Audemars case. Between these two, the Jules Audemars Tourbillon Chronograph is the leaner, sparer timepiece, which contrasts beautifully with its rich chocolate palette and its fairly voluptuous poire hands. In further counterpoint to each other are the deliciously old-fashioned dial elements of transitional phase ball-serif Arabic numerals and minuterie chemin de fer set against the geometric, symmetrical anthracite skeletonized bridges (as opposed to the highly engraved baroque style associated with traditional openworking). Quite frankly, this watch appeals not only because of its exceptional execution in all aspects, but also because it comprehensively demonstrates that Audemars Piguet is capable of far more nuanced watchmaking than the forthright muscularity and assertiveness of the Royal Oak would suggest. You don’t have to love this watch, but if you don’t at least appreciate what it is and what it stands for, you shouldn’t be allowed to have nice things.